The Russian Soyuz TMA-08M undocked from the International Space Station, ahead of successfully returning its three person crew safely to the steppe of Kazakhstan early on Wednesday morning. The undocking marked the end of an eventful Expedition 36 that included a dramatic premature end to one of the spacewalks during the period. Expedition 36 Commander Pavel Vinogradov and Flight Engineer Alexander Misurkin of the Russian Federal Space Agency (Roscosmos) and NASA Flight Engineer Chris Cassidy undocked their Soyuz TMA-08M spacecraft from the station 7:37 p.m. EDT on Tuesday. They safely landed on the steppe of Kazakhstan southeast of the remote town of Dzhezkazgan at 10:58 p.m. (8:58 a.m. Kazakh time Wednesday), wrapping up 166 days in space. The trio had launched from Kazakhstan on March 29. In preparation for that safe trip home, the Soyuz TMA-08M crew donned their Sokol launch and entry suits, closed the hatch between the Orbital Module (BO) and Descent Module (SA), and strapped themselves into their Kazbek couches inside the SA. 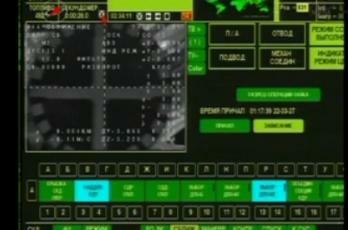 Following a few hours of free flight, Soyuz TMA-09M conducted its de-orbit burn, followed by a landing near the town of Dzhezkazgan on the Steppe of Kazakhstan. Once the crew have been extracted and examined by Russian recovery forces, they will be flown by MI-8 helicopters to a nearby airfield, where the crew will part ways, with Cassidy boarding a NASA Gulfstream III aircraft to be flown back to Ellington Field in Houston, Texas – via two refuelling stops in Glasgow, Scotland, and Goose Bay, Canada. Vinogradov and Misurkin will be flown back to Star City, outside Moscow. Immediately upon undocking of Soyuz TMA-08M from the Mini Research Module-2 (MRM-2) Zenith port, Expedition 37 formally began aboard the ISS, consisting of Commander Fyodor Yurchikhin, a Russian cosmonaut, and NASA astronaut Karen Nyberg and Italian astronaut Luca Parmitano as Flight Engineers. The trio will almost immediately set their sights on the long-awaited and much anticipated demonstration launch of Orbital Sciences’ first Cygnus capsule to the ISS, on what is known as the Orb-D mission, currently scheduled for 17 September. Five days after the launch, and following a series of demonstration objectives, Nyberg and Parmitano are set to become the first astronauts to “catch” a Cygnus with the station’s Canadarm2, with berthing to the ISS and hatch opening to follow. Just days after the Cygnus capture and berthing on 22 September, the remaining three crewmembers of Expedition 37 will launch to the station aboard Soyuz TMA-10M on 25 September, for a docking to the ISS just six hours later on 26 September. The crew of Soyuz TMA-10M will consist of Russian cosmonauts Oleg Kotov and Sergey Ryazanskiy, and NASA astronaut Mike Hopkins. The next event to occur for Expedition 37 will be the unberthing, release and departure of the Cygnus on 22 October after a stay at the ISS of one month, for a destructive re-entry into Earth’s atmosphere a short time later. On 28 October, the European Automated Transfer Vehicle-4 (ATV-4) will also undock from the ISS for its own fiery demise in the atmosphere. The crew of Expedition 37 will then set about executing an unusual procedure that will lead to three Soyuzes, and thus nine people, being present on the ISS simultaneously. Firstly, in November, Soyuz TMA-09M will be relocated from the MRM-1 Nadir port to the Service Module (SM) Aft port, in order to clear MRM-1 for the arrival of Soyuz TMA-11M on a same-day launch and docking on 7 November. This relocation will be done in order to prevent Soyuz TMA-11M from having to dock to the SM Aft port, which would mean that it would have to be relocated to the MRM-1 port following the undocking of Soyuz TMA-09M for return to Earth, and the SM Aft port is preferred to be used by Progress vehicles in order to allow for reboosts along the central axis of the ISS. It is preferential to relocate Soyuz TMA-09M rather than Soyuz TMA-11M, as using Soyuz TMA-09M presents less risk in the even of a failed re-docking, as the vehicle and crew would be near to the end of their mission anyway, rather than at the start as would be the case for Soyuz TMA-11M. The crew of Soyuz TMA-11M will consist of Russian cosmonaut Mikhail Tyurin, NASA astronaut Rick Mastracchio, and Japanese astronaut Koichi Wakata. Two days after their arrival, on 9 November Russian cosmonauts Oleg Kotov and Sergey Ryazanskiy will perform an unusual EVA to carry the Sochi 2014 Winter Olympic flame out into open space, a first for space and Olympic history. Two days later, on 11 November Soyuz TMA-09M will undock from the SM Aft port and return to Earth, along with the Olympic flame and the crew of Yurchikhin, Nyberg, and Parmitano. 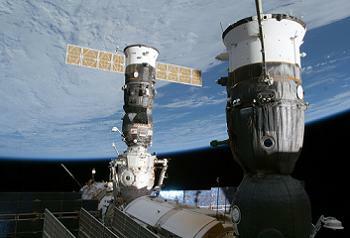 Expedition 38 will then officially begin with its full complement of six crewmembers. Expedition 36 included a number of EVAs. However, it was EVA-23 that grabbed all the headlines for all the wrong reasons, as Luca Parmitano’s EMU began to leak fluid into his helmet as he was carrying out tasks on the outside of the ISS with one of the Soyuz returnees, Chris Cassidy. Work is continuing in trying to nail down a root cause for the fault, with the initial theory pointing towards a vent loop water leak caused by either a blocked or clogged Water Separator Pilot Tube, a blocked condensate water relief valve, or a blocked condensate water line – causing the water separator loop to allow excessive amounts of water to enter the ventilation loop. 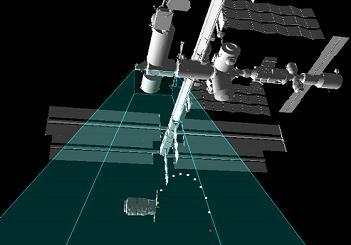 The investigation – led by NASA’s Anomaly Resolution Team (ART) at the Johnson Space Center (JSC) in Houston – includes on orbit testing of EMU 3011 by the ISS crewmembers. A potential breakthrough was noted late last month, as the problem appeared to be related to the EMU Condensate Water Transport Loop into the EMU vent loop, which was subsequently removed and replaced by the crew. 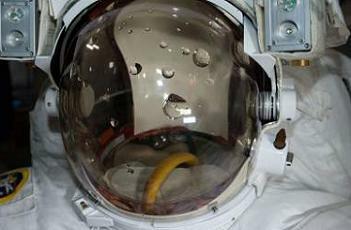 However, during a full up test of the EMU, following R&R tasks, the suit still leaked fluid into the helmet, as seen in photographs sent back to Earth from the ISS. “Following the R&R a screening test showed that the water crossover anomaly was still present and water continued to leak into the helmet,” added EMU troubleshooting notes, via L2. 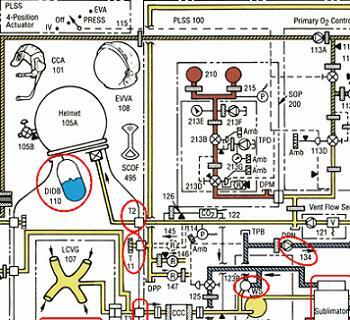 “The crew then performed a gas trap R&R and noted that the gas trap o-rings had no damage or obvious contamination. The next step in the troubleshooting effort will be to replace one of the tubes with a new version that will be flown up to the ISS on a Russian Progress resupply ship in October. (Images: via NASA and L2). (Click here: http://www.nasaspaceflight.com/l2/ – to view how you can support NSF and access the best space flight content on the entire internet).